Yesterday was the start of a three part series on where you can buy Vintage Style Wedding Dresses. I covered the long, more traditional style (catch up here) and today I am focussing on Tea Length Swing Dresses! I adore all of the Mooshki Dresses! The details are just stunning and there are so many gorgeous styles. All the Mooshki dresses are bespoke and from what I can tell on the website, are made to order and can be customised. They have stockists all over the world and orders can be arranged via email too. From left: The Primrose, The Ava and The Charlotte. It’s hard to find prices for their dresses but I found a quote that most of them range between £1300 and £1950. So definitely at the high end! 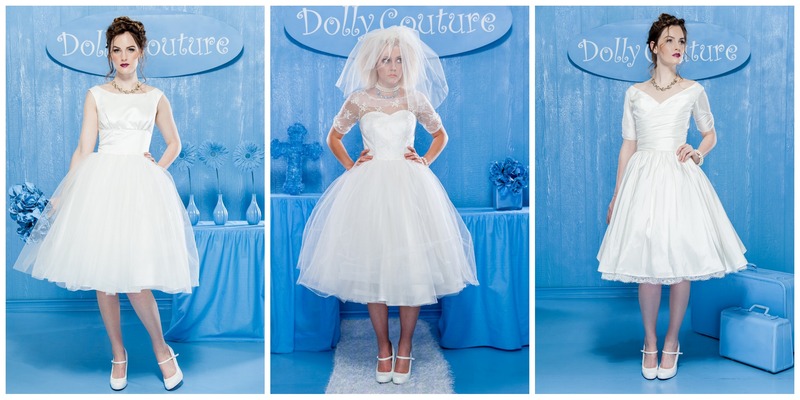 Dolly Couture is a cheaper alternative to Mooshki Bridal but still with the custom made option. Most of their dresses are very 60’s inspired and have a small selection of stockists in Canada, UK, Australia, Lithuania and USA. I talked about Whirling Turban yesterday and featured their long 50s style gown. But because they are so awesome, I am featuring them here too as they do great custom made Tea Length Dresses and feature the lovely petal bust detailing. Whirling Turban make everything to order and is true pinup couture. Their fabrics are all high quality and luxurious which is what most want in a wedding dress. If you are looking for a alternative wedding dress, they have a couple of great looking leopard print ones! I decided to have a tea length dress for our wedding reception and had it custom made by CurvyCouture by Judy Dee. It was wonderful to have the ability to design my ultimate wedding dress and pick out fabrics! Whilst there are online shops like Whirling Turban and Dolly Couture which can do custom orders for out-of-towners, I liked the idea of being able to have fittings. Judy gave me great advice on what would work, which fabrics would suit the design and was meticulous with the details. Judy also made my beautiful friend Michelle’s (Miss Vintage 2012) wedding dress and that lace is just so dreamy! I love all these photos! Also you could try searching Etsy (search under the ‘handmade’ setting) for Tea Length Wedding Dresses as there are lots listed and most of them are made to order and can be customised. Etsy and eBay are a great source also for true vintage if you can find it. Miranda sent in these photos of her wedding dress that she will be wearing in January. She said that whilst she loves reproduction vintage, this dress is extra special because it has such lovely sentimental details like a little blue bow stitched on the inside from the previous owner. I choose a vintage pink prom dress from the 50’s for my wedding! True wedding dresses are so hard to find in a larger size… I thought that adding some colors would not be a bad thing! Wow … Miranda’s dress is AMAZING! All the options are so beautiful, kind of makes me want to get married (again!). Miranda’s vintage dress is so lovely, the lace is just gorgeous! House of Mooshki is totally new to me. Love their detachable trains, but at $2-3k USD they’re not even an option, unfortunately. Yikes. I own a Whirling Turban dress in turquoise and as silly as it sounds, think I’m going to have them remake it in white for our wedding in two years. The neckline for their Liz Taylor inspired dress is beyond flattering and exposes just the right amount of skin without being a traditional strapless dress. Ella, can you talk a bit about the logistics for wearing two dresses on your wedding day? Did you feel you got enough time and enough pictures in each? 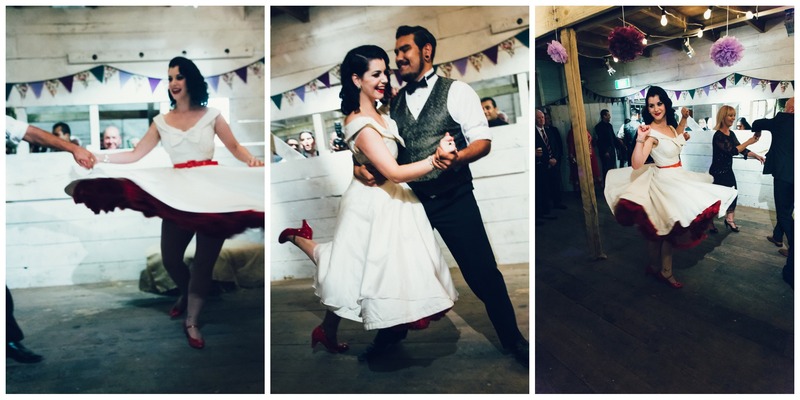 What a fabulous post – you can’t beat a tea length dress to give your wedding that vintage vibe! I couldn’t help but to reply to your feed in regards to Primrose and Finch. Primrose and Finch Australia,have run off with the wedding dress deposits of brides. 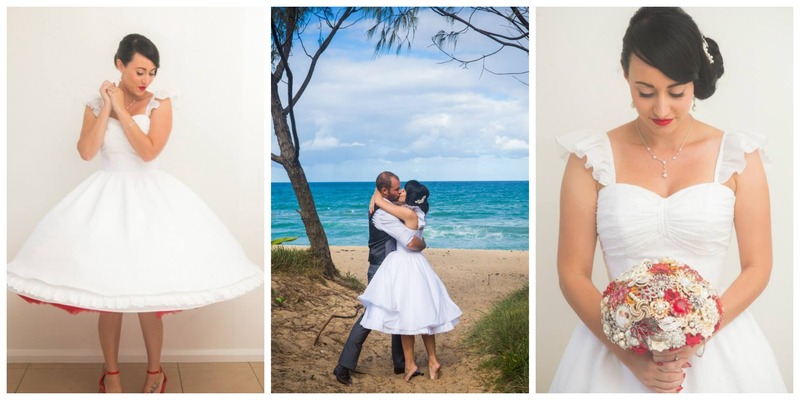 The owners of the Australian store also own the NZ store.This has caused huge uncertainty for Brides, not knowing if their dress will ever arrive. Other Brides have been forced to order a Brand NEW Wedding dress through a different Stockist. On top of this the owners have been completely uncooperative and dishonest to their customers!! !